Though I dropped Ro-Kyu-Bu very early on, the voice of Ogura Yui is absolutely unmistakable. 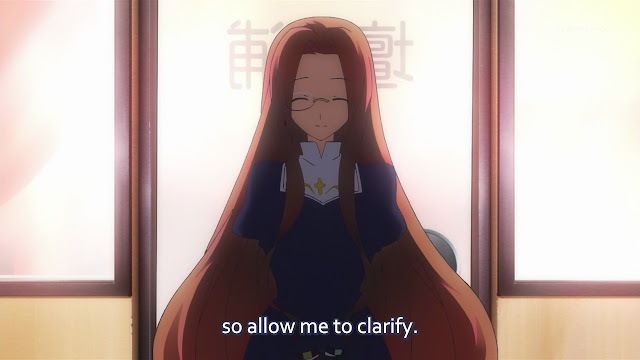 This Ningyouhara Kuroe is the newly introduced character, but she's not so new to part of the cast. Remember when Konoha was talking to Sovereignty about how she had plenty of experience with energy-sucking dolls? Ha, I really appreciate the little things that tie up. As the title of episode may have suggested, Kuroe is quite the eccentric character; I quite like her demeanor. I'm sure we've all been suspicious about the math teacher since the first episode. 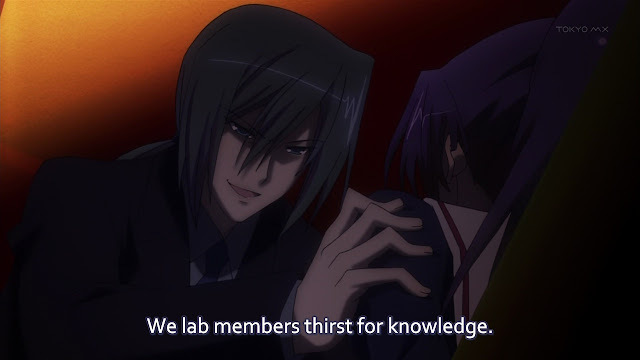 Well, he's revealed to be a fellow "lab member," of course referring to Kirika's brother's organization. Suffice to say, Kirika isn't really fond of the guy. I don't buy the "thirst for knowledge" one bit. Whenever someone comes up with a vague excuse like that, there's probably a hidden agenda. Since we now know who he is, he'll likely be directly involved in this arc. Much of the episode wasn't very serious stuff, which largely focused on fanservice. That aside, it seems that Fear sort of looks up to Kuroe in that she wants to rid herself of her curse as well. To her, helping out at the barbershop seems like a legitimate place to start helping people. Maybe what writer is trying to get at here is that what Fear is doing right now is this: she's helping people as a means of ridding herself of her curse. She won't be able to lift this curse until she learns to simply help others for their sake, and their sake alone. Or maybe I'm just spouting a bunch of nonsense. 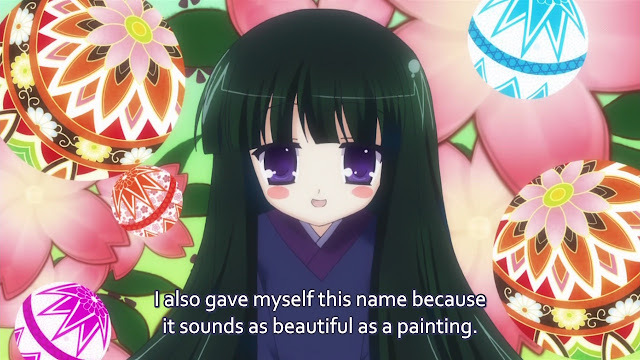 I've stated that I really like Kirika's character, but her predicament isn't really avant-garde. Because she's bound to her cursed tool, she's unable to make any progress with Haruaki. She's reluctant to be in the family business to boot. Yet at the same time, she feels confortable and perhaps even feel like a regular girl because of the protagonist's omnipotent allure. How the writer handles her decisions down the road will make it or break it for me. Last but not least, we have the apparent antagonist of this arc. This Alice belongs to a different faction, the "Families" she calls it. Originally after Kuroe, she changed her target to the girl with a Rubik's cube. What the families intend to do with Fear, who knows? Perhaps the most intriguing thing about this rather bland episode is her final line, "I'm the culprit." Maybe it's me being dense and I just missed something important. What exactly is she referring to? Well, that doesn't matter as long I get see more crazy murder faces.